The Mint 400 Desert Race was off road race to end all races. The 400 miles of dust and dirt was not for gentle souls and the party started early, for the crowd, at least. 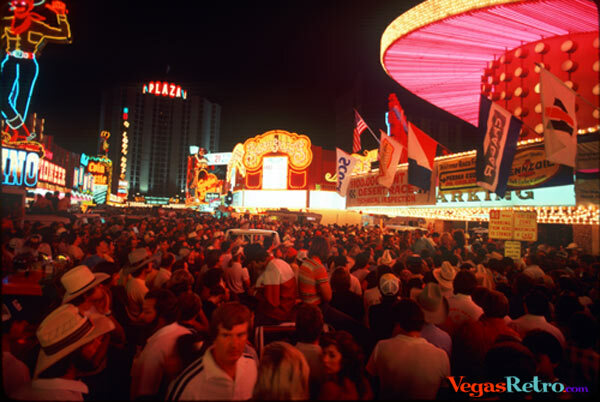 Taken before the canopy was created, this 1980 photo shows the crowd that gathered in downtown Las Vegas the night before the race. You'd think a party like this would be at the end of the race. Maybe a testament to how exhausting a 400 mile desert race can be... that they had the party at the beginning.